Our land trip from Chiang Mai to Luang Prabang took an exhausting 16 hours and involved switching buses four times, passing through Chiang Rong and Bokeo. We spent eight long hours on a sleeper bus, where bunk beds were set up side by side like a sleeper train commonly found in Indonesia, before arriving in Luang Prabang from Bokeo. There are other alternatives for this journey: by boat- slow boat or speedboat depending on the budget and schedule- or the regular flights to Luang Prabang from Vientiane in Laos or Chiang Mai, Bangkok in Thailand. Looking for a different experience and atmosphere, we decided to take the road trip instead. One of the unique architecture in the city of Luang Prabang. Transportation choices also vary depending on the budget. There are VIP buses going directly to Luang Prabang or local buses from Chiang Mai to Chiang Rong to Bokeo, with a stop at Luang Prabang. Another alternative is the Mekong River slow boat or speedboat depending on travellers’ budget and schedule. We arrived at 5 A.M at Luang Prabang bus station and then took a tuk-tuk to the city centre. It was still dark downtown, but not for long; soon people started their daily activities. Locals started to prepare their food and fruits on simple mats in front of their homes or in shops. They were waiting for monks to pass by for the morning “Tak Bat”, a procession in which the monks gather food from locals and visitors. The tradition of alms giving dates back to the 14th century and is a way to show reverence. Luang Prabang is a small town on the banks of the Mekong river built around 1400-1600 AD by the Lane Xang Empire (The Kingdom of a Thousand Elephants). 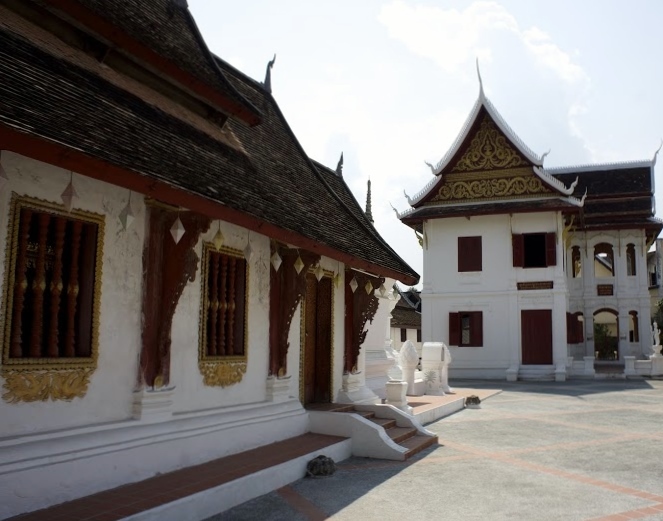 It is a 820-hectare area dotted with mostly European style buildings among tens of monasteries called Wat in Lao. In 1995, Luang Prabang was designated as a World Heritage Town by UNESCO. Luang Prabang represents the grand architecture styles of Classic Lao, combined with the 19th to the 20th century European architectures. 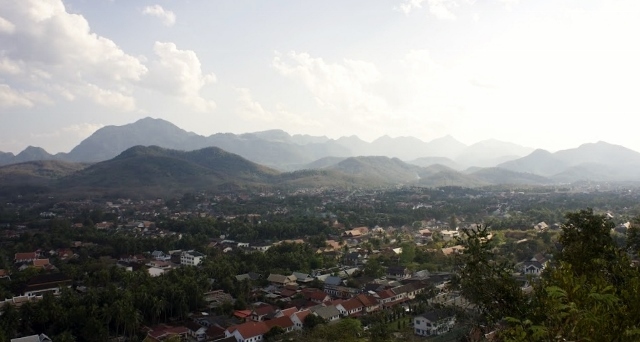 The UNESCO’s endorsement has made Luang Prabang a popular tourist destination. Old European buildings have been turned into cafes and hotels, and changes must get approval from UNESCO because they have to comply with its restoration and renovation guidelines. For me, traveling to Luang Prabang is like a trip back in time; imagining places where temples like Borobudur in central Java or other Buddhist temples in Sumatra were still alive. Centuries old traditions are very much alive in Luang Prabang, unlike in religious sites in Indonesia that are usually abandoned by followers. Aerial view of Luang Prabang, Laos. The Monastery is vibrant with daily activities. Young monks still live in the wooden houses built around the main praying house. 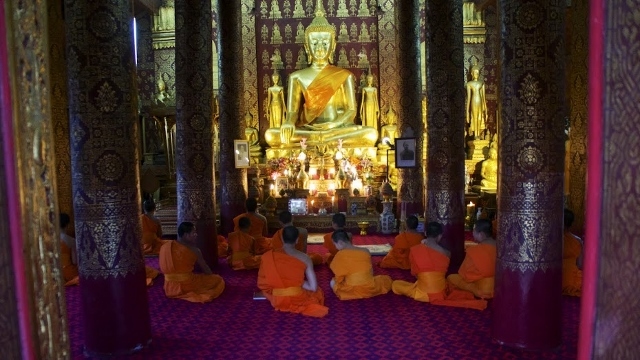 The monks typically live for at least five years before deciding whether to continue their lives as monks or return to their communities. We can find the Haw Kham Royal Palace downtown. It was the center of the Lao empire before being taken by the communists in 1975, and turned into a national museum. There are many interesting collections in the museum, artifacts related to the kingdom, from prehistoric up to the colonial time. The one that interest me the most was a bronze drum that has a very strong resemblance to nekara from Indonesia’s East Nusa Tenggara province. The biggest monastery is the Wat Xieng Thong pagoda. It is located at the end of the city and is still used as how it was 600 years ago. The buildings are beautifully renovated, gilded with gold portraying the stories of Buddha and one building depicts the story of the Ramayana saga. For shopping, the night market is a great choice. Open after 6 PM, it is located from Shisavong street to the right in front of the national museum. Although shopping was not part of my travel plans, the idea of getting souvenirs at bargain prices was tempting. Lost in the time warp of Luang Prabang, and returned home with a peace of mind and contentment. Chok Chai Luang Prabang! 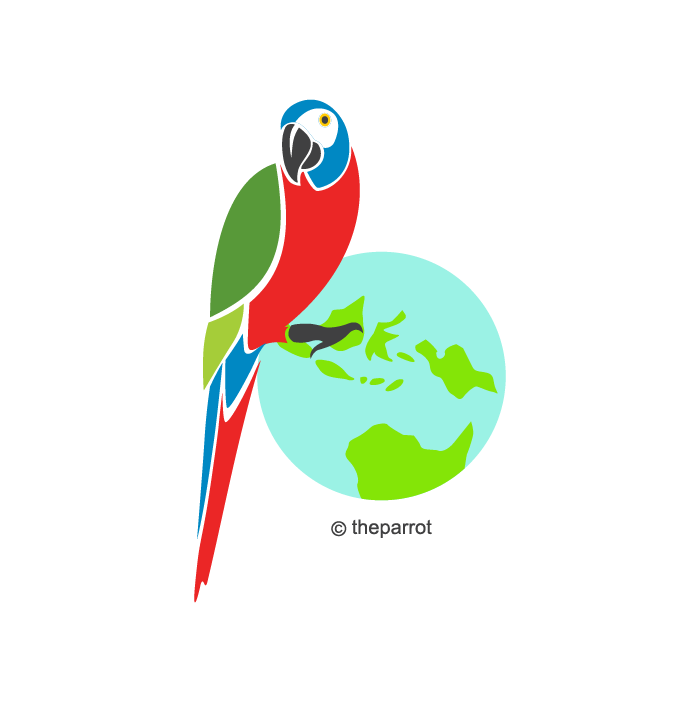 Adi Prasetijo is a cultural traveller. 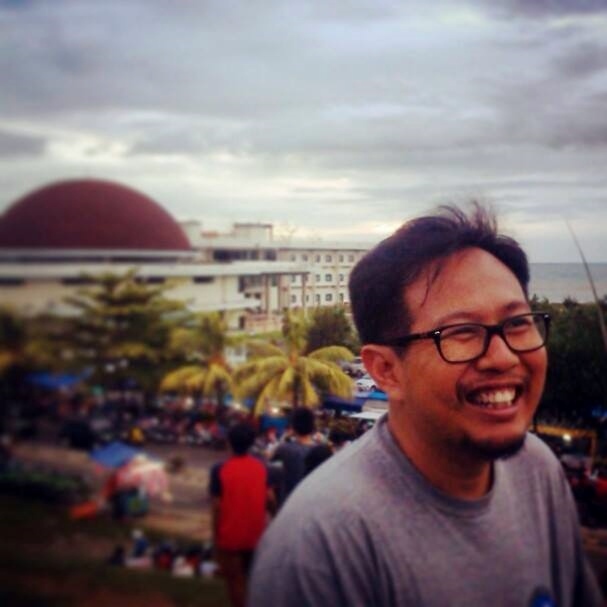 He works at the Indonesia Center for Sustainable Development (ICSD) and recently completed a doctorate in Anthropology and Sociology from Universiti Sains Malaysia.